The fastest and most convenient way to apply to Indiana University South Bend is by completing an online application. For assistance with the application process, please call (574) 520-4839 or email admissions@iusb.edu. 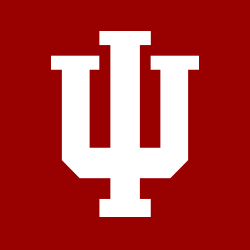 Earn an Indiana University degree at a cost you can afford. College is a big investment and we will help you graduate with as little debt as possible. As a public, regional university IU South Bend has the best tuition value in the area. Go ahead and compare. Part of IU South Bend’s mission of giving students the opportunity to fulfill their potential is our dedication to an affordable college education. Crushing student loan debt is a major issue that prevents graduates from living the lives they desire. We want students to graduate with no debt or the lowest student loan debt possible—this is why all incoming students are assigned a financial aid counselor to help them make good decisions along the way. Scholarships, grants, work study, and low interest loans are available to those who qualify. Live at IU South Bend in one of our fully furnished one, two, or four bedroom suites. Wi-Fi, Cable TV, dishwasher, microwave, refrigerator, utilities, private bedrooms, and 24-hour security, are all provided for you. Whether you’re a local or regional student who wants to skip the commute, or are traveling far to attend college in South Bend, you can live away from home in comfort and security. "I hope to major in nursing, which I know will require a lot of study time. Living on campus, in River Crossing, has given me an independence and ability to focus on my academics."